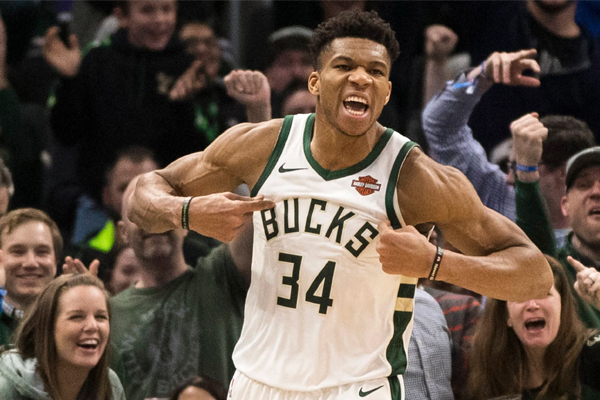 If Milwaukee Bucks superstar Giannis Antetokounmpo is going to become the NBA’s representative, it’ll be on his terms. Giannis says that he will change his personality to fit into American mainstream culture in order to become the face of the NBA. “A lot of people say that I can be the face of the league,” Antetokounmpo said. “Lately, people have told me … the closest people, you know, my family, my girlfriend, my mom, my brothers, people say that I cannot be the face of the league because I’m not American, I don’t have the American culture in me. The 24-year-old three-time All-Star was born and raised in Athens, Greece to Nigerian parents. He started his professional career with EFAO Zografou in Greece before the Bucks selected him with the 15th overall pick in the 2013 NBA draft. Since then he has developed into one of the league’s best players. This year, he’s averaging a career-best 27.5 points—tied with the Los Angeles Lakers’ LeBron James for fourth in the NBA—along with 12.7 rebounds, 6.0 assists, 1.4 blocks and 1.3 steals across 65 appearances. He leads the league in player efficiency rating and ranks third in ESPN’s Real Plus-Minus.